Edinburgh sealed a home European Champions Cup quarter-final and top spot in Pool 5 by beating Montpellier 19-10 - a result which also sent Glasgow Warriors, Racing 92 and Leinster into the last eight. Jaco van der Walt's boot opened up a nine-point lead for Edinburgh but a first-half try from Jacques du Plessis, followed by Ruan Pienaar's penalty had the Top 14 club ahead in the Scottish capital. Yet Edinburgh's lead was restored by Van der Walt's fourth successful three-pointer and Darcy Graham went over in the 61st minute and gave them another nine-point advantage they did not relinquish. The result means Edinburgh will play a last-eight tie for the first time since 2012, while Glasgow also benefitted from their rivals' result as it meant they - along with Racing and Leinster - are now guaranteed one of the best runners-up spots. 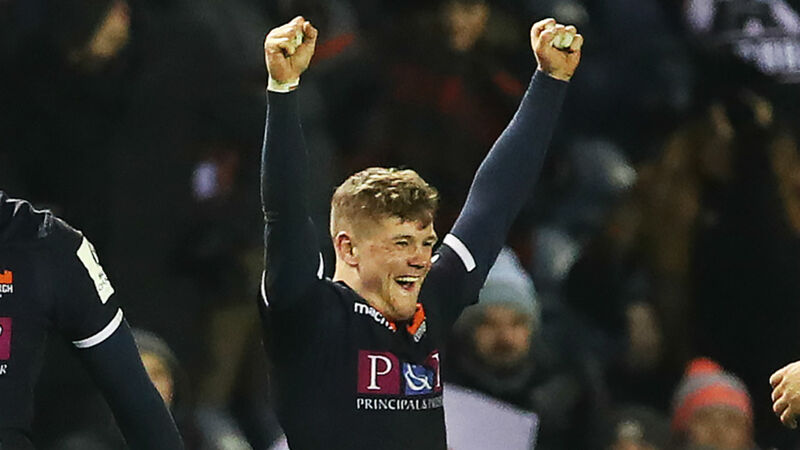 It is the first time in the competition's history that both Scottish clubs have made it through to the quarter-finals, with Edinburgh winning a seventh straight game in all competitions. Both other teams in Pool 5 - Toulon and Newcastle Falcons had already been eliminated - but the former grabbed a consolation victory as Bastien Soury ran in a match-winning try seven minutes from time.